Donations to CCUG help to fund student scholarships and program development, keeping music instruction accessible to all. 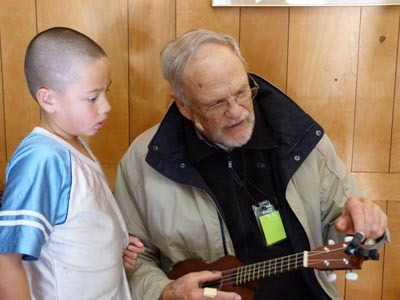 Allen, CCUG director and teacher aide, helps a student tune his ukulele. Checks may be written to the NORTH VALLEY COMMUNITY FOUNDATION with “CCUG” in the memo line.